Learn how to add your group's budget so your employees can start using their Sunlight! Adding budget to your group helps you keep a better track of your employees' L&D expenses. When adding the budget, you will be requested provide the details of the card you will want to use on Sunlight, so that you may be charged at the end of each completed transaction where the group's budget has been used. 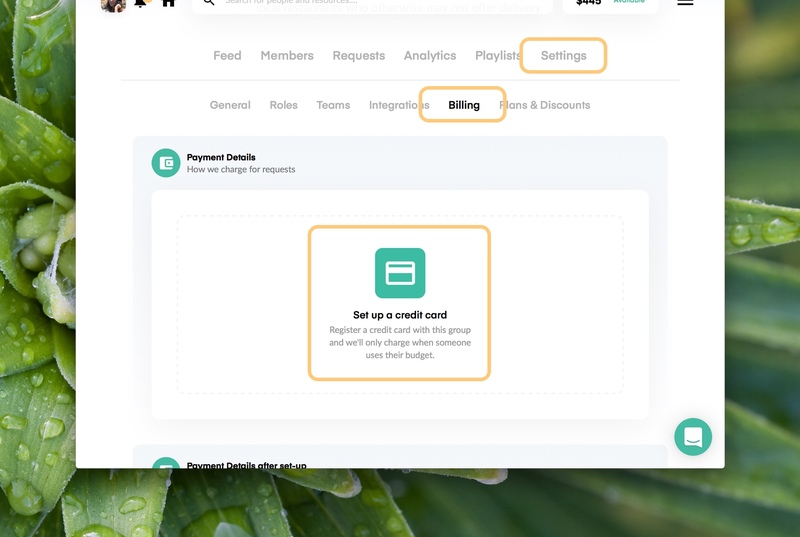 To add budget to your group, all you have to do is go to your group's profile, and access the "Billing" section under the "Settings" tab. Once there, you will find that the first step is to set up a credit card. Just click there and fill in the information required. Once you're done, click on "Register Card." 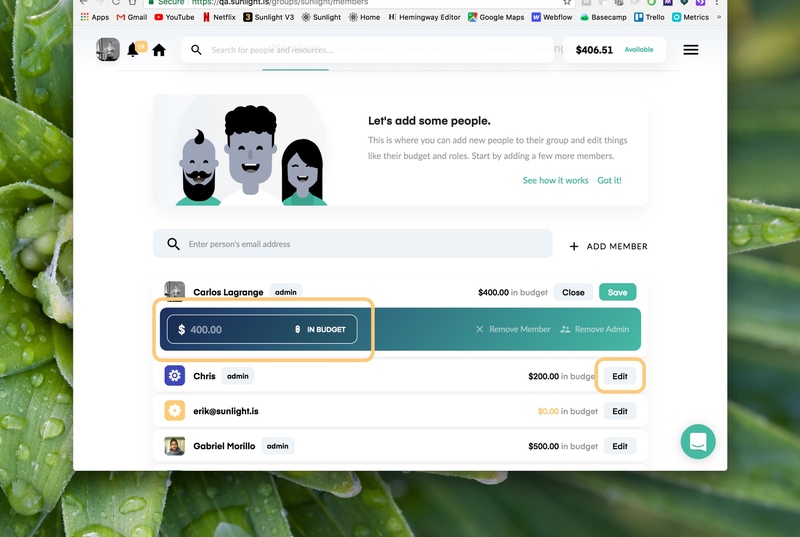 You'll now be able to give individual budgets by visiting the "Members" tab and editing each person's line with the amount of your preference, and then clicking "Save." If you have any questions or comments, please don’t hesitate to contact us through the Intercom icon on the bottom right side of the screen, or via email at support@sunlight.is.